You can find a full synopsis of this book over at Goodreads here. Although I am so far behind with this that you all probably are well aware of what this book is about. 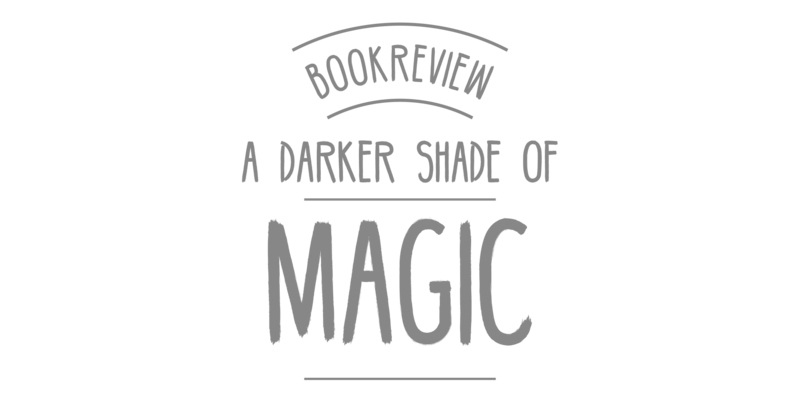 I want to start of this review by saying I can completely understand why the colour red is everywhere in this book… there is blood, and lots of it! London is one of my favourite places to visit and I try to do so yearly, so when I first heard that this book was set in not one but FOUR Londons, I was immediately sold. I think this choice of location(s) is rather smart as the London we are all familiar with (albeit of a different time) helps us feel connected with the story, whilst the other foreign Londons give us an exploration into completely different worlds which we all expect and love from fantasy books. The technique of colour categorisation is a smart one, and a technique that is successfully used elsewhere to help distinguish differences whilst maintaining a common link (eg. Hogwarts houses, power rangers etc.). The characters Schwab has created reflect the beauty of her London’s as well. They have common traits with characters in other books, but Victoria perfectly morphs this baseline to create personalities that make them interesting and unique only to this story. I have to strongly commend her for her secondary characters as I was extremely attached to them despite maybe only getting a couple of chapters worth of content (my heart still aches for poor Barron, Gen and Parrish). One thing that must be absolutely celebrated is the diversity of the characters as well. One of our main characters, Rhy, is disclosed as bisexual very early on and it is handled so well. I think this is the first time I’ve ever read a truly bisexual character, too! Lila’s cross-dressing tom-boyishness is a highlight for me also. Typically this is used with female characters to make them seem fierce and independent despite being girls, and then later in the books there usually is a ‘redeeming’ moment where they put on a dress or make up or something to remind us that they actually are a beautiful girl and not a boy (UGH! because we obviously can’t distinguish this). So, how delighted was I that when Lila was getting ready for the masquerade she still INSISTED on men’s clothing – YES, you do you gurl! Also, a good deal of the cast are people of colour – awesome! Our villains were very villainous indeed, and for me, I love the concept of evil twins and by God were they evil! I don’t want to get too much into Holland as it will just upset me all over again, but what a poor sod! I think he was definitely the foundation of illustrating to us just how cruel the twins were, and without him they may have just seemed like little brats who had gotten a bit big for their boots. My heart still sinks thinking about the passage where Kell recognised relief on his face when he killed him. The overarching story as a whole was well thought out. It was simple enough for us to truly understand the danger, whilst giving us enough freedom to explore these new worlds and characters without missing anything too integral to the story. 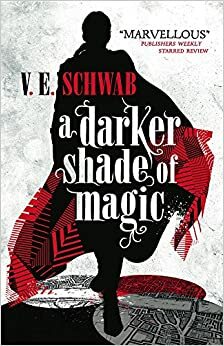 Schwab successfully used something as menial as a stone to show us the true limitations of the magic within her worlds, as well as the characters which she created. I was actually surprised the story came to a neat conclusion at the end because I knew this was a series, so I am looking forward to seeing what the other two books are going to be about! I think the only thing I would change is Astrid’s death. I really wanted Lila to be the one to do this, but I do look forward to finding out more about Lila as there is a clear mystery there. This review is probably all over the place as I just have a million thoughts in my head about how brilliant it was. To conclude: great location, great cast, great story, great diversity, great everything!!!! The next two have secured their way onto my list for next month, most definitely!